2 in 1 addictive puzzle fun! Take the challenge in a double dose of classic puzzle games from SEGA - Columns and Puyo POP! Return to ancient Phoenicia and behold the jeweled Columns as you strategically align falling gems across, down or diagonally. Let the screen fill with gems and its game over. 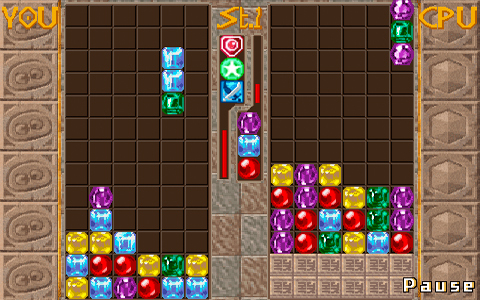 In Puyo Pop, race against the clock to match color groups of cute gelatinous Puyo’s and create chain reactions as they fall. 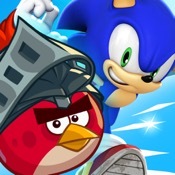 Play against the clock or take on the computer in your phone for hours of challenging gameplay. Easy to pick up, difficult to master and fiendishly addicting! Minor bug fixes, now OS 3.0 compatible. ------------------ We've had reports that this version won't launch for some people. If this happens please delete it from your device then install again and it will work.